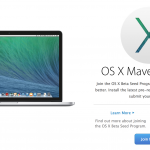 A minor update for OS X Mavericks is reportedly close to being released to the public. According to 9to5Mac, AppleCare employees have received a new build of OS X version 10.9.3 Along with a jump in the build number, the software isn’t labeled as “Pre-Release,” which indicates the software is very close to launching. The update offers improved 4K display support for the late 2013 Mac Pro and late 2013 MacBook Pro with Retina display. It also adds the ability to sync contacts and calendars between a Mac and iOS device using a USB connection. The new software also includes Safari version 7.0.3. 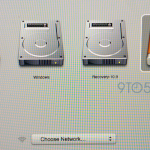 We’ll definitely let you know when Apple officially releases version 10.9.3 of OS X. As we reported earlier this week, Apple employees are already testing OS X version 10.9.4, so the update cycle will continue. The big news on the OS X front seems to be the next major version of the software – 10.10. The yet-to-be-named verison will reportedly offer a major redesign, much like iOS 7. It should be shown off at WWDC next month and be available to download in the fall. For other news today, see: Apple's PR Guru Katie Cotton Is Retiring, A Surprising Start To Apple's June Quarter, and Apple's iPad Regains The Top Spot In J.D. Power's Latest Satisfaction Survey.